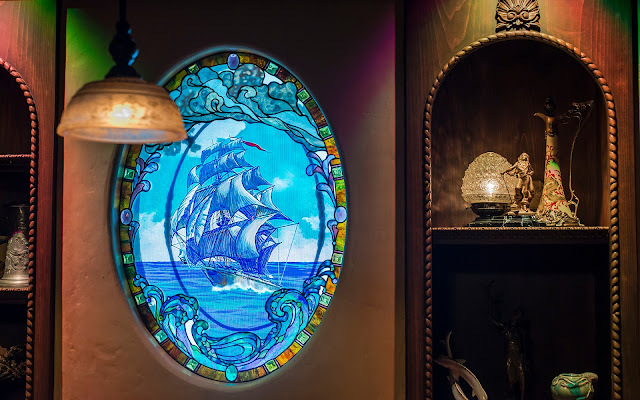 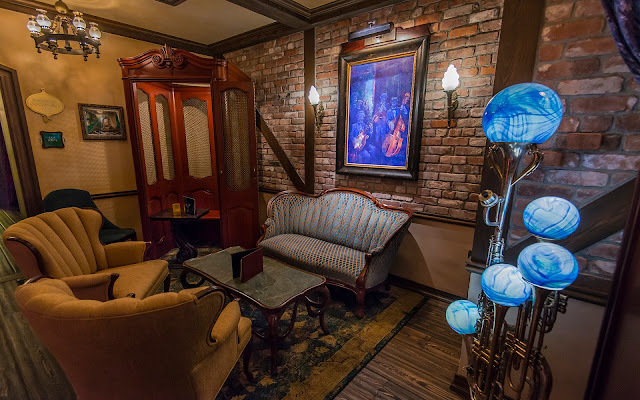 It's been a while since I've posted photos from inside Club 33's expansion, the Salon Nouveau, so here are some more images from within this exclusive space! 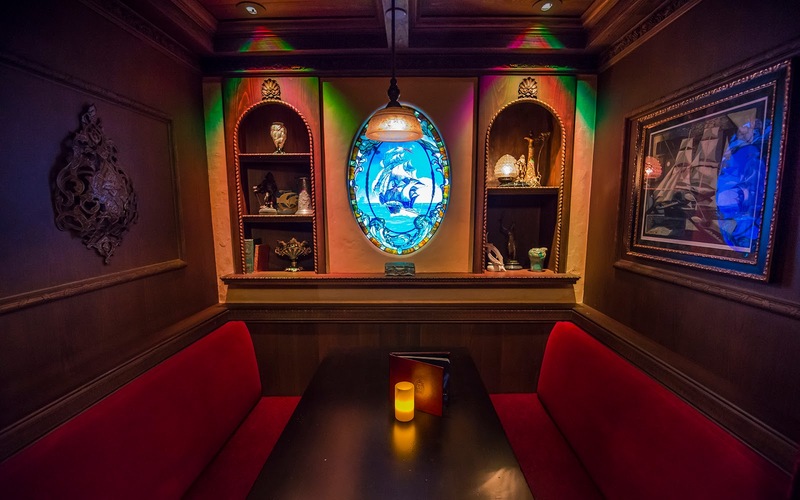 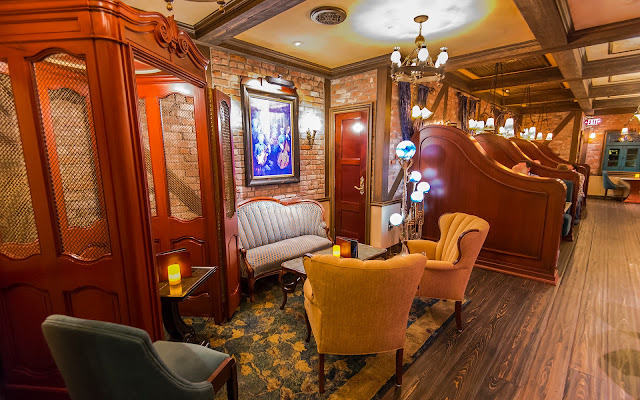 The main eating area in the Salon features the old Club 33 elevator car anchoring the entry corner. 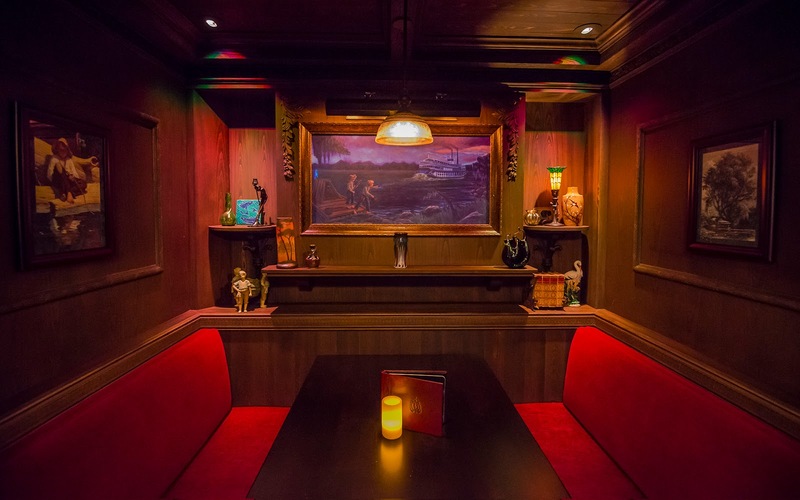 The booth itself seems more decorative than functional, since it would be an awkward table for one. 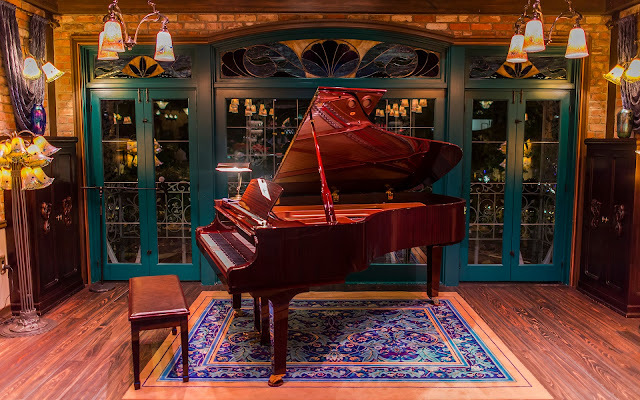 A beautiful player piano sits next to the balcony overlooking the French Market outdoor dining court. 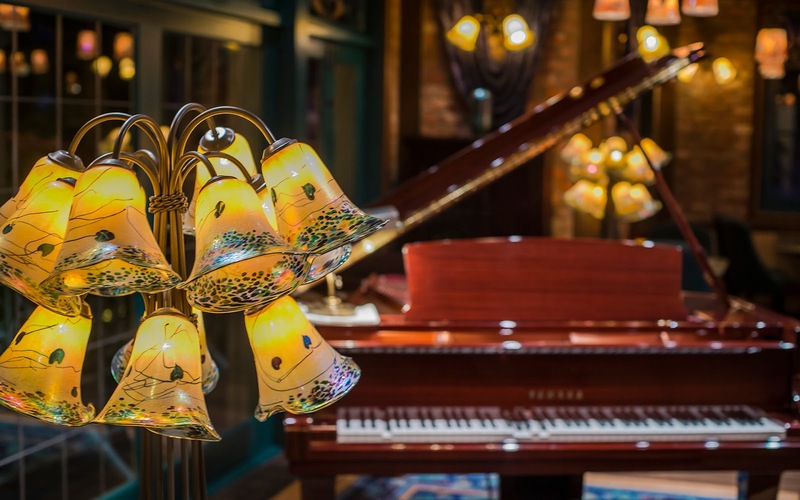 An elegant art nouveau lamp adds a thematic touch. 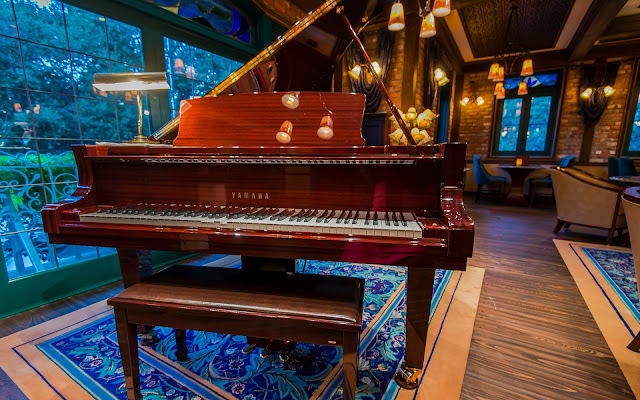 A closer look at the Yamaha player piano. 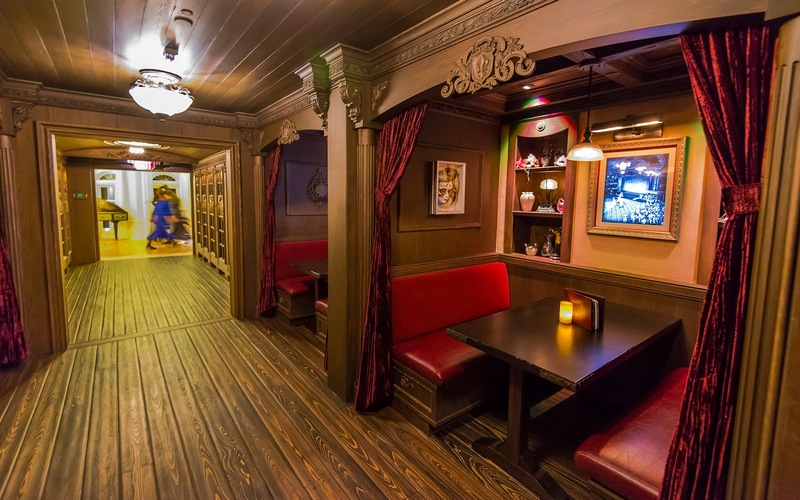 Here's one of the regular dining booths. 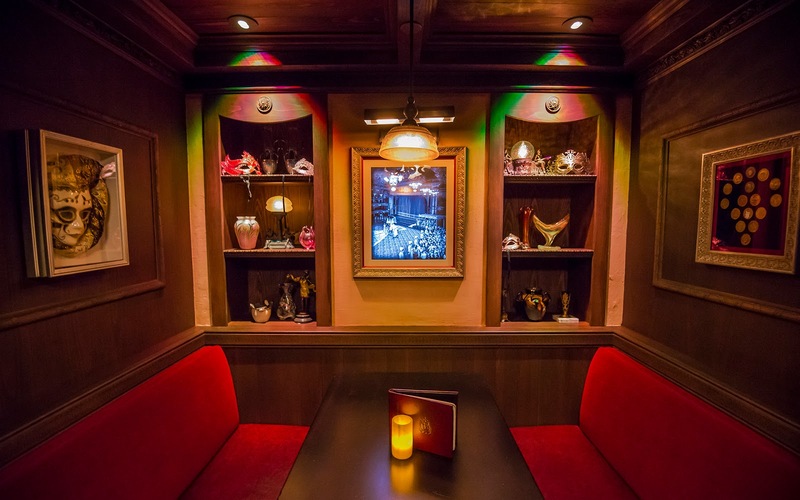 Down the hall, there are also cozy booths tucked next to the wine racks, each with its own theme. 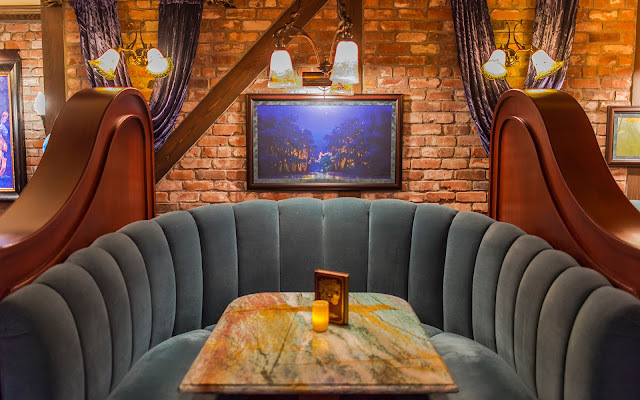 This one recalls the Rivers of America and the 19th century riverfront. 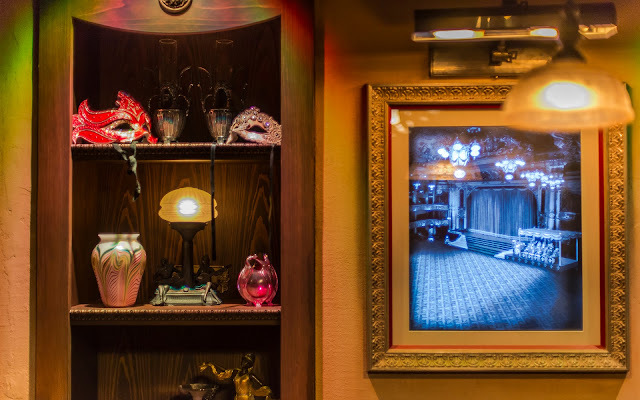 This one is a more New Orleans theatrical. And finally, one with a more nautical, Pirates of the Caribbean-esque motif.